Shoud i root my x8? nd it takes a lot of tym for my fone to start... how can i solv it? What do you mean by threaded view? Do this fone have conversation like iphone? miki, 10 Jul 2011how to sign out after using fb aplication? i try whole night oso x found d key to logout...any... morego to the homepage then click the left bottom. there should be a logout key. hey guys, just wanna ask if i can download movies/large files like more than 100mb files directly to my memory card with this phone? how to sign out after using fb aplication? i try whole night oso x found d key to logout...anyone know it? it's a nice mobile but it has only 2.1 android version and it cannot be upgraded. fabiobosi, 09 Jul 2011hey guys.i don't know what to choose XPERIA X8 or NOKIA X3 TOUCH AND TYPE what do you think???... 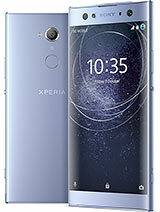 morehey guy sony ericssion xperia x8 is the best choise in all the way. I m using froyo 2.2.9.and 212 of memory!